This topic contains 0 replies, has 1 voice, and was last updated by Mike Haldas 1 year, 3 months ago. Here is a solution on how-to connect a Swann HD security camera to the HDMI input of a TV. This is a great solution for anyone that wants to display live video on a TV using Swann cameras. Surveillance system manufacturer Swann currently sells AHD and HD-TVI type 1080p HD over coax type security cameras. Lucky for consumers, these are both common video standards used in the video surveillance industry. If you are unsure which type of camera you have, please refer to this Swann camera compatibility guide. 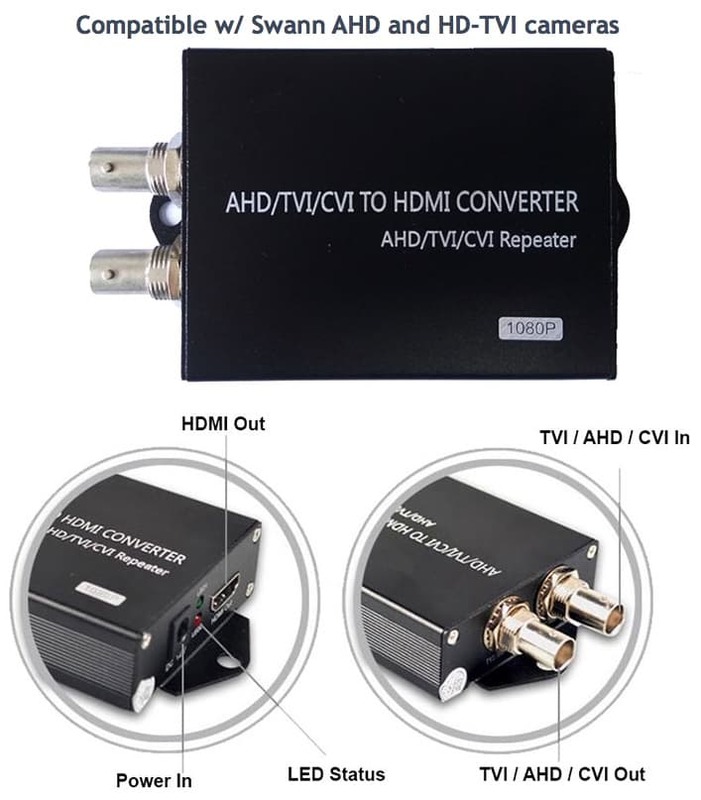 This AHD to HDMI converter will work with Swann security cameras that are based on the AHD video standard. This HD-TVI to HDMI converter will work with Swann security cameras that are based on the HD-TVI video standard. You may also be interested in this Swann DVR / Camera Compatibility Guide. This topic was modified 1 year, 3 months ago by Mike Haldas. This topic was modified 2 months ago by Mike Haldas.